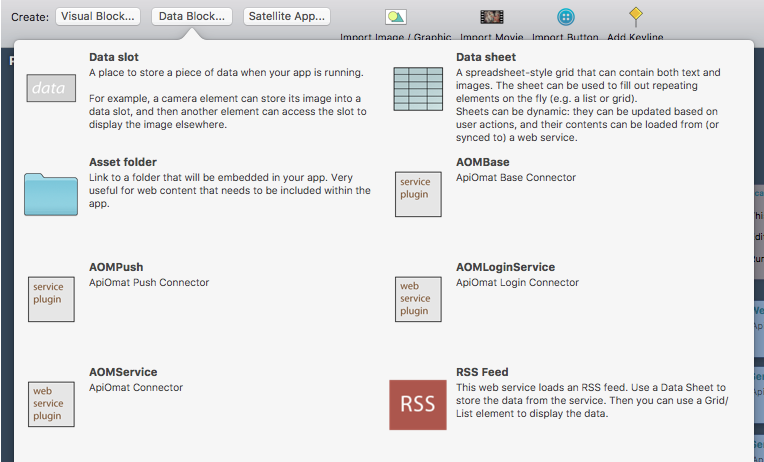 Add visual blocks to the project map to make the app more complex than a simple single-site application. To do this, choose an element out of the Visual Block... selection. Add data blocks to the project map to be able to work with different connectors and other data. 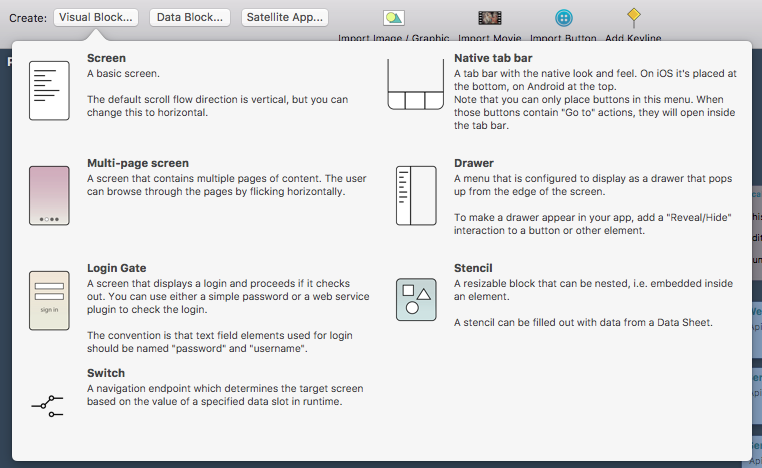 To do this, choose an element out of the Data Block... selection. User interactions are essential for an efficient app. Select an element in the canvas and navigate to Interact in the inspector. 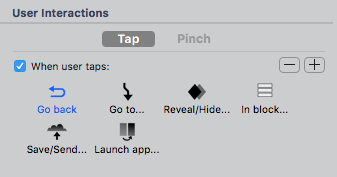 Tick the checkbox When user taps and select the desired option. Use the plus or minus buttons to add or delete interactions. This feature is currently only available for image elements. 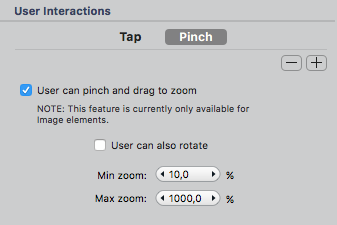 You can choose if a user can pinch and drop to zoom or if a user can rotate. Again, use the plus and minus buttons to add or delete interactions.